Like last week, the ASX is looking more and more likely top break to new lows this year. We will be discussing the impact of this in the LIVE CHAT ROOM. For a continued move higher we would like to see the ASX close above 5648 followed by a retest of 5746. Should this occur we will look for a retest of 5777, and a strong close above this could result in a quick move to 5823. If momentum is strong we will then look for a rally into 5875 and 5921. If the ASX cannot close and hold above 5648, we could see a retest of 5582; however a strong break of this level may result in a move to 5521 and 5504. If momentum is strong to the downside we cannot rule out a move to 5450. The DAX managed to rebound slightly last week but is still in a dangerous scenario heading into this week. For a move to the upside we must see the DAX close strongly above 10863. Should this occur we will look for a retest 11050 before a pause; however if momentum is very strong we cannot rule out a move higher into 11180. If the DAX however fails to close above 10863, we will look for a quick move down to 10601. A break and close below this level could result in another sharp move down to 10382 and if we continue to slide we cannot rule out a move down into very sharp move down into 10131. This week is FED week. Will they raise rates amidst the market turmoil? We will be discussing this market in more detail in the LIVE CHAT ROOM. For a move higher, we would like to see the S&P close 2620 followed by a retest of 2660. Should this occur we will look for a retest of the key 2680 level. A strong break and close above this level could see another retest of 2704, and if momentum remains strong to the upside we cannot rule out moves to 2720 and 2736. If we cannot close above 2620, we could see this market continue to sell-off whilst it remains below 2600. If momentum to the downside is strong we may see a move lower into 2562; and a close below this level may result in a very fast move down to 2540. The Aussie dollar continues to sell off despite being at a key support area. If we cannot hold above 0.7229, we will look for a move back down to 0.7169. A strong break below this level may result in a move back down into 0.7112 before another potential pause. Any subsequent breaks of this level however may result in a very fast move down to 0.7070. The Euro is in a very narrow range bound scenario however this market is also in trouble if it cannot hold support at these levels. Cable has broken key levels and found support at some of our levels. 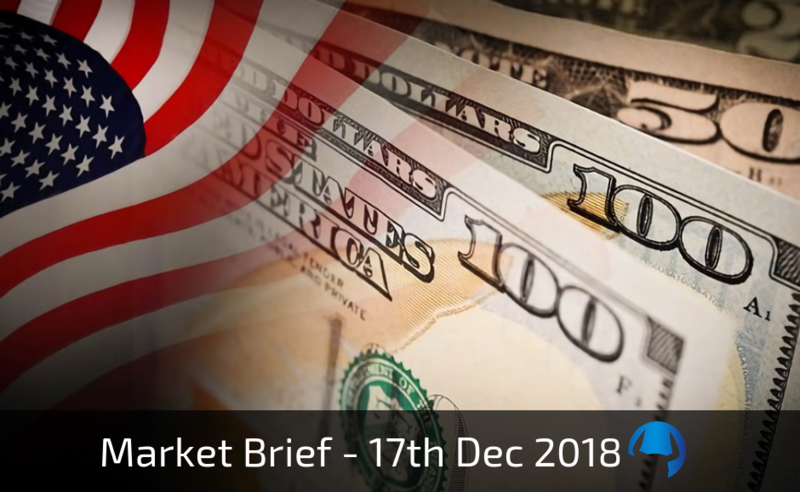 This week will be another big test for this market, and we will be discussing this LIVE in detail in the MEMBER PORTAL this week. For a continued move to the upside, we would like to see Cable close above 1.2720, followed by a retest of 1.2868 before a pause. Should this occur we will look for a move to 1.3035 and 1.3161; and if momentum is very strong we could see a re-test of last week’s highs into 1.3277 and 1.3386. On the downside, should we fail to close above 1.2720, we will be watching the key 1.2480 level very closely. A strong break below this level however sets stage for a much stronger move down tpo 1.2297. The $/YEN is also range bound and this will be a big week for the market. Last week GOLD ran into key resistance and the question this week will be can this market break through this resistance? For a continued move higher we would like to see this market close above 1245. Should this occur we will look for a move to 1260, and if momentum is strong we could see a retest of 1276-1278 before a pause. If Gold cannot close above 1245, we will look for prices to stabilise at 1238. However a strong break through 1238 could result in a fast move down to 1222. If momentum to the downside is very strong we cannot rule out a move to 1216 and 1206.